The Shorecrest boys’ basketball team (7-5 Wesco 3A, 10-8 overall) will try to improve its fourth place position in the standings with a game Tuesday at Oak Harbor (4-8, 5-13) and a Thursday home game with Everett (4-8, 6-12). Shorecrest defeated both in early January. The Scots can catch or pass Mountlake Terrace (8-5. 9-10) with two victories. Shorecrest lost at home to Mountlake Terrace Friday. In the 55-46 loss to Mountlake Terrace, Shorecrest fell behind by 10 points after three quarters and couldn’t close the gap in the fourth. Junior Chibuogwu led the Scots with 23 points. Chibuogwu has averaged 16.9 points for the 16 games he has played. The Shorewood boys’ basketball team could wrap up a berth in the Northwest District 3A tournament Tuesday in a home game against last-place Lynnwood. The Thunderbirds (5-7 Wesco 3A, 8-10 overall) hold fifth place in the division going into the 7:30 p.m. game with Lynnwood (1-12, 2-17). The top six teams qualify for the District tournament beginning Feb. 10. A Shorewood victory either Tuesday against Lynnwood or Thursday at Meadowdale would assure the Thunderbirds at least a tie for sixth, and if either Everett (4-8, 6-12) or Oak Harbor (4-8, 5-13) loses at least one game, the T-birds would clinch a tournament spot. If Shorewood wins both games, the Thunderbirds qualify for the tournament no matter what the teams behind them do. The T-birds could qualify for post-season play with two losses unless Everett and Oak Harbor both finish with two victories. Shorewood was left in a three-way battle for the last two tournament berths when the Thunderbirds lost to first-place Glacier Peak (12-0,16-3) Friday. In Shorewood’s 62-55 loss at Glacier Peak, the Thunderbirds couldn’t overcome a big Glacier Peak third-quarter surge. Semir Kadiric led Shorewood with 16 points; Josh Hawkinson scored 11; Peter Berquist had 10; and Ben Andrews and Gage Carroll each added 8. Shoreline Fire was on the scene at the Shoreline Community College Library Monday afternoon. Melanie Granfors of Shoreline Fire verified that the cause of the smoke was a vent motor that overheated with some rubber belt smoke resulting. "The smoke alarm did its job," she said. The Tuesday Lunch and Learn for start-up business owners, February 1, 12 noon to 1:30 pm at Shoreline City Hall, 17500 Midvale Avenue N, is presented by Shoreline Community College Small Business Accelerator and the city of Shoreline. The sessions are free; bring a brown bag lunch. New Year is a time for preparation, organization, planning, goal setting, and creating new habits. In that the Chinese New Year is this Thursday, it’s not too late to get our financial house in order! After all - it’s the New Year! How do I manage my business expenses, and growth goals? How can I monitor my financial team? How do talk to my banker when I want something? Speaker Tiffany McVeety is an interactive speaker who will inspire, motivate, and drive any entrepreneur toward success. She uses real world experience to guide each participant through discovery of their values, goals, and passion. She unveils a roadmap to turn an entrepreneur's passion into profit. Giving the audience an edge. The entrepreneurial edge. Tiffany presents an interactive message with supporting tools to fast track start-up success, powerful pipelines, networking success, solution sales, relationship selling skills building and access to capital solutions. She ran an award winning Small Business Administration (SBA) program where she coached and mentored thousands of businesses toward financial success. She was also a business banker with Shoreline Bank, #1 ranked small business banker for WaMu and global small business relationship banker with HSBC Bank. She has helped clients reach new levels of financial success using simple tools that are easy to manage, monitor and control. Know your business. Own your business. Whether you are a solo-preneur with a dream to put into action, or you own your own million dollar business - this workshop will serve you well! Tiffany has presented over over 200 entrepreneurship, small business, finance and government contracting workshops for the US Navy, the US Small Business Administration, the Small Business Development Centers, Women in Motion and others. She is excited to have the opportunity to present in Shoreline. Kate's beloved father is a woodcarver, and she learns the trade from him. Although she is too young to be his apprentice, she shows remarkable talent for carving the magical objarka that people wanted to buy for luck...until the day that her father dies of the sickness they call the "witch's fever." Then, despite her skill, almost nobody wants to buy a lucky charm from Kate. 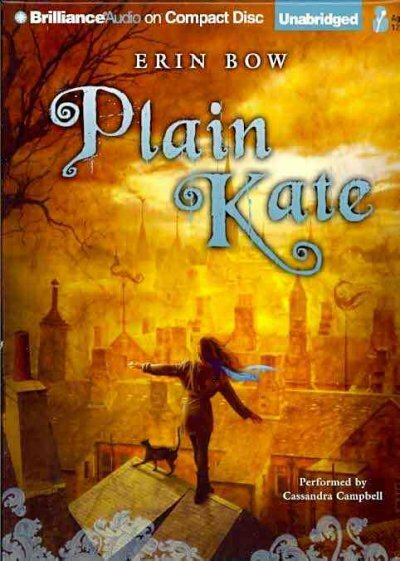 She seems destined to starve--or worse, for the villagers are beginning to think they should blame Kate for the witch's fever--when a strange man with magical powers offers Kate a bargain: he will take her shadow, and she will gain escape from the town and her dearest wish. She makes the deal, and begins her amazing adventure. Plain Kate is a likable character, but the scene-stealer in this book is Taggle, the cat who is enchanted into speech. Taggle is funny, clever, selfish, vain, and tremendous--in short, he is no ordinary kitty, but rather a cat that TS Eliot would welcome into his book of poetry. Those who love magic and those who love cats will be unable to resist this book. No cussing, no kissing, some magic, some blood, and more than a few tears. Highly recommended for readers 12 to adult. After weeks of work, the Aldercrest Task Force presented their unified proposal at a Ballinger neighborhood meeting on Thursday, January 27. On a night with a westside meeting on Point Wells, and an eastside meeting kicking off the Lake Forest Park 50th Anniversary celebrations, nearly 60 people packed a classroom at the Living Wisdom School, 2800 NE 200th Street (part of the old Aldercrest Elementary School) to hear the proposals. 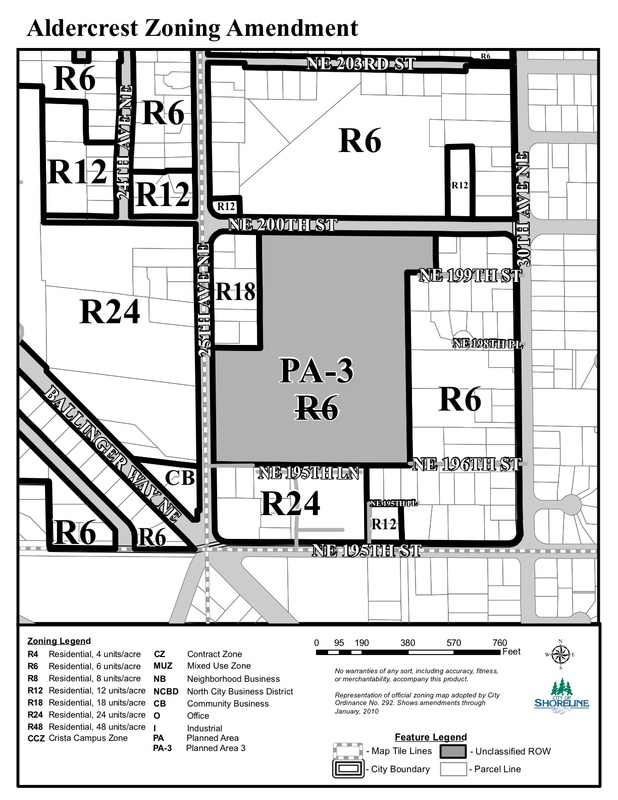 The Task Force included representatives from the City of Shoreline, which would have to approve any zoning changes; the Shoreline School District, which owns the property and buildings; the Ballinger Neighborhood Association, which has positioned itself as a place for information to be heard; and the Friends of Aldercrest, the ad hoc advocacy group. The mobilization began in 2009, when King County was going through the process of selecting a site for a new jail. 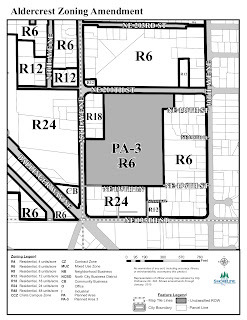 Each municipality was required to submit a site for consideration and Shoreline staff submitted the Aldercrest site, which belongs to the School District. The School District had recently declared the property surplus, which meant it could be put up for sale. The immediate neighborhood was distressed about losing the playfields and picnic areas. The larger neighborhood was incensed at the thought of a jail on the site. A No-Jail Group formed in Mountlake Terrace, just two blocks away. The Friends of Aldercrest was formed, quickly joined by citizens across Shoreline and Lake Forest Park. The proposal, which will be sent to the Planning Commission on February 20, lays out specific zoning changes for the site. Underlying the proposal is the agreement that the School District will offer 16 acres of the property for sale. A buyer would be required to deed 6 acres of the purchase to the City of Shoreline for a park, and in return, would be allowed higher density on the remaining parcels. The complete proposal, comprehensive plan maps and proposals, and zoning is on the City of Shoreline website. Joe Tovar, Director of Shoreline Planning and Development Services, presented the zoning proposals and Economic Development Manager Dan Eenerisee talked about what development might look like at the site. No buyer is currently talking to the School District. "We couldn't even consider offering it for sale, or even getting an appraisal," said Superintendent Sue Walker, "until we know what the zoning will be." The audience was extremely civil for such an emotionally laden issue. One neighbor spoke of his lack of trust that the City had their best interests at heart. He said the entire area should be single-family residential. Another member of the audience told him "That ship has sailed." Sean Osborn, who said he lived so close that he "walked here without a jacket" said he had tried to get information about what was happening and no one responded. "It feels like a backroom deal," he said. Janne Kaje, Co-Chair of Friends of Aldercrest, says, "The collaboratively developed proposal for Aldercrest was the culmination of a great deal of work and tremendous efforts at outreach for nearly two years by dedicated neighbors. It was anything but a backroom deal. As most neighbors will attest, the Friends of Aldercrest has gone to great lengths to get neighbors involved and informed and invited to participate. We have doorbelled every home in the vicinity several times; we have maintained an e-mail list to inform interested folks of our meetings and other events; we have circulated flyers, set up booths at farmers markets, marched in parades and spoken out at public meetings. The concept of a partial rezone to make the win-win solution possible has been talked about openly since at least Fall 2009, when we hosted Shoreline City Council candidate forums at LFP Montessori School." Tovar pointed out that this meeting was the culmination of the work of the Task Force and that comments and concerns expressed that night would be responded to in the staff report they will take to the planning commission’s public hearing in February. "One idea was the need to talk with more specificity about the type and timing of improvements to 25th Ave NE to meet parking, pedestrian safety, and other needs. Another was a concern that perhaps the 'institutional’ use listing was too open ended and should be narrowed to exclude such uses as, for example, a jail." The next part of that public process will be the Planning Commission hearing which is scheduled for February 17. Notice of that hearing will be sent out to the neighbors as well as posted on the site. Janne Kaje facilitates the Q and A. Photo by Alice Lawson. Janne Kaje, Co-Chair, Friends of Aldercrest, who facilitated the question and answer portion of the meeting, noted that as a member of the Planning Commission which will hear the proposal, he will recuse himself from all discussions about Aldercrest. Shoreline Schools Superintendent Sue Walker commented that "This has been a collaborative effort between the District, the City staff, the Ballinger Neighborhood Association and the Friends of Aldercrest that does create a win—win for those involved. For the District, it means we can hopefully build an endowment for coming generations of students, and for the city and neighborhood, the preservation of a beloved open space in the Ballinger community." Members of the community can attend the Planning Commission meeting and make comments about the proposal. It was suggested that the comments "be thoughtful and add value" to the discussion. 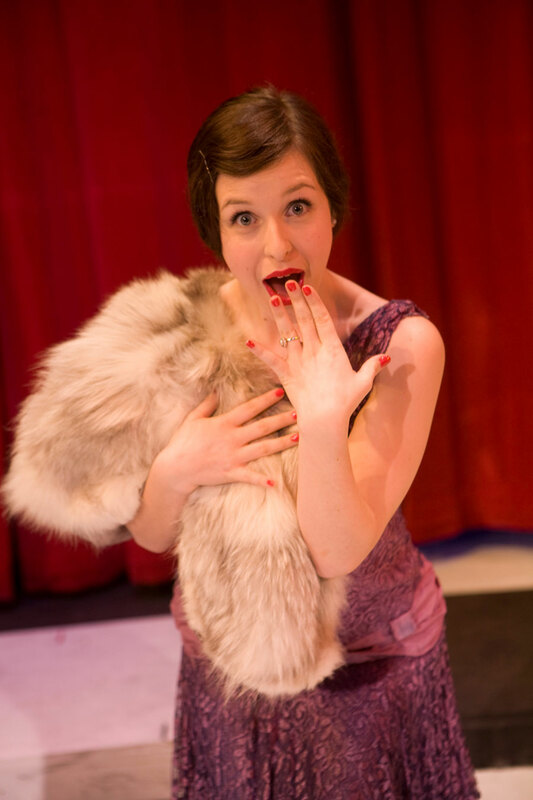 Seattle Musical Theatre presents the first Seattle-based production of The Drowsy Chaperone, February 11 - March 5, at their theatre in Sandpoint Magnuson. Magnuson Park, 7210 62nd Ave NE, Seattle, WA 98115. Friday-Saturdays at 7:30 pm, Sundays at 2 pm, Thursday, March 3 at 7:30 pm. 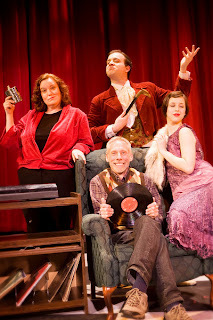 The Drowsy Chaperone is the tale of a modern day musical theater maven, known simply as "Man in Chair." 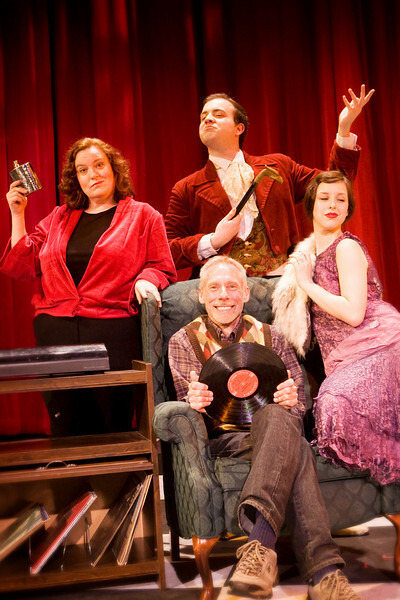 To chase his blues away, he drops the needle on his favorite LP - the 1928 madcap musical comedy, The Drowsy Chaperone. As his hi-fi crackles, the musical magically bursts to life on-stage. We learn the tale of the pampered Broadway starlet who wants to give up showbiz to get hitched, and her producer's attempts to sabotage her impending nuptials. Hilarious antics ensue with her chaperone, the debonair groom, the dizzy chorus girl, the Latin lover and a pair of gangsters masquerading as pastry chefs. 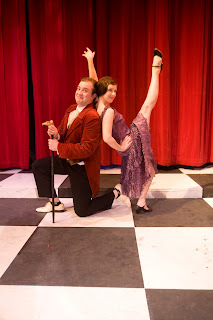 Man in Chair's love of The Drowsy Chaperone speaks to anyone who has ever been transported by the theater. Starring as the central character, Man in Chair, is one of Seattle’s busiest actors, Jon Lutyens. With credits ranging from Theater Schmeater to ArtsWest to The 5th Avenue Theatre, Jon was seen this summer in Book-It’s Gregory Award-winning production of The Cider House Rules and is currently in Village Theatre’s Anne of Green Gables. Joining Jon will be a cast of established and up-and-coming Seattle musical theatre talent. Directing the show will be Contemporary Classics Artistic Director and Gregory Award winner Brandon Ivie in his final Seattle directorial credit before relocating to New York City. The Drowsy Chaperone got its start as an odd thing: a wedding present at a stag party. Bob Martin (who would later become the bookwriter and star as Man in Chair) received The Drowsy Chaperone as a wedding present for he and his wife, Janet Van De Graaf (both of whom are now characters in the musical). Their friends knew of Mr. Martin’s obsession with musicals and wrote him and his wife one. It was such a hit that they remounted it at the Vancouver Fringe Festival. After transferring to a larger theatre in Canada, it was picked up by producer Roy Miller, went through rewrites, opened in Los Angeles and then transferred to Broadway. The original production was nominated for 13 Tony Awards and won five, including Best Book and Best Score, and played 674 performances. Seattle Musical Theatre (formerly Civic Light Opera) is conveniently located in Magnuson Park, at 7120 62nd Ave NE . Parking is plentiful and free. Performances are Friday through Sunday, with one Thursday night offering. Tickets are $30-$40 with special rates for seniors, students and group sales. 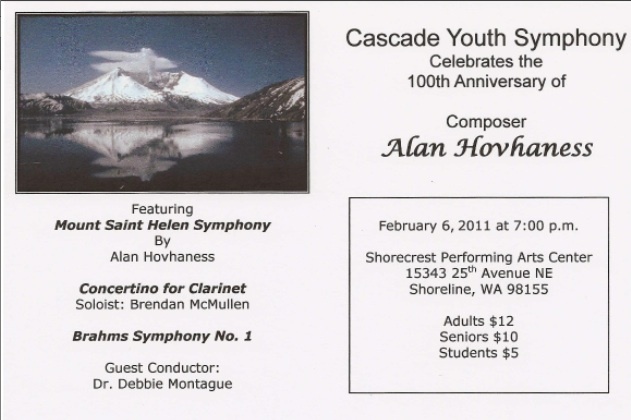 Tickets can be purchased at the website or by calling the box office at 206-363-2809. Whether you are attending or hosting a party for Super Bowl XLV, there are easy ways you can reduce waste as you prepare for the festivities. Set the stage for success by using reusable and washable plates, platters, silverware, napkins, cups and mugs. Keep packaging waste at bay by purchasing in bulk, bringing your own reusable shopping bags when you shop and serving drinks in pitchers instead of individual serving containers. Green your grill and buffet by featuring local produce, meats and treats. Year-round farmers' markets in Ballard, the University District and West Seattle are plentiful with seasonal crops and meat from local farms. Local foods are also available at grocery stores like Central Market, PCC, and Ballinger Thriftway. When it is time to clean up, encourage your guests to pitch in. Set out and clearly mark your recycling bins, and if you have food scraps and yard debris collection service, help guests keep food waste out of the garbage by using a collection container for food scraps. According to the US EPA, nearly 113 billion disposable cups, 39 billion disposable eating utensils, and 29 billion disposable plates are used in the US each year. The best environmental alternative is to use durable, reusable and washable serviceware, even when considering the energy used to manufacture reusables and the water and soaps used to wash them. The Regional Transit Task Force has won the prestigious James R. Ellis Regional Leadership Award from the Municipal League of King County. "We asked 28 local leaders to set aside arbitrary political divisions and come up with transit recommendations that meet the needs of the entire county, and they exceeded all expectations," said King County Executive Dow Constantine. "That takes real leadership, and I'm pleased to see their hard work and vision recognized by the Municipal League." The Ellis Award honors individuals and organizations for contributing significant leadership in the examination of regional public policy problems. The Regional Transit Task Force (RTTF) is a 28-member panel representing a broad coalition of transit stakeholders in King County and the Puget Sound region. Last year, the Executive and Metropolitan King County Council tasked the group to identify short-term and long-term objectives for transit service investment, and to formulate a service implementation policy based on those objectives. The work of the RTTF is expected to form the foundation of a unified regional effort to work with the state Legislature to replace the volatility of the sales taxes that now provide the majority of the funding for public transit with a more long-term, sustainable source of revenue. This revenue source will be needed to avoid deep cuts to Metro Transit service in future years and to plan for future growth of Metro’s bus system – the ninth-largest in the nation – as millions more potential riders move to this region in the coming years. The RTTF recommendations were accepted by the County Council in December. They are now serving as the foundation for work by a joint Council and Executive staff group to develop a new Metro Transit Strategic Plan that can be transmitted to the King County Council at the end of February. Members of the task force, including Shoreline Councilmember Chris Eggen, said they were honored by the award, and pleased to see their work recognized. 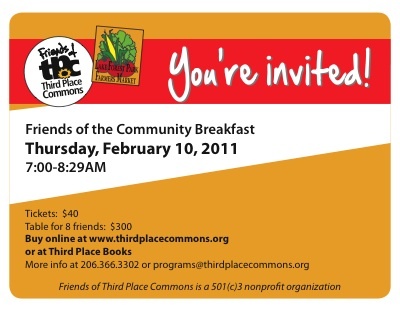 Breakfast with Friends of the Third Place Commons, Thursday, February 10, 7 - 8:29 am, Lake Forest Park Towne Centre, intersection of Bothell and Ballinger Way. Do you love Third Place Commons? Here is a chance to support Friends of Third Place Commons and the 800+ community events they host every year at no charge to participants. The annual Friends of the Community Breakfast is their biggest fundraiser of the year, and despite the early hour, it is a fun way to support your favorite gathering place. Friends of Third Place Commons is a 501(c)3 nonprofit, and is a registered charity in Washington. The Global Affairs Center at Shoreline Community College kicks off a month-long symposium on humanitarian assistance at 7 pm, Wednesday, February 2. The first guest speaker, Julia Bolz, Founder and Executive Director, Ayni Education International, will present “Building Quality Education Opportunities in Afghanistan One School at a Time.” Ms. Bolz will talk about building schools and peace in Afghanistan. Read about Bolz and her work (download document). All symposium bios are posted at this site. The symposium schedule is located here. The evening presentations will be held on four consecutive Wednesday evenings from 7 to 8:30 pm in the student union building, the PUB, in room 9208. Global Affairs Center Director Larry Fuell asks the community to please join SCC students, faculty and staff at this and upcoming presentations. Shoreline Community College is located at 16101 Greenwood Avenue North. The PUB is located near the main entrance to the college on the south end of campus. Parking is nearby and clearly marked. Week day rates - $2 for 2 hours, $3 for 4 hours, and $5 all day. Evan Smith: Should we split legislative districts? If one legislator has his way, 32nd District State Reps. Ruth Kagi and Cindy Ryu would run for re-election in separate, smaller districts. Democratic state Rep. Hans Dunshee, who represents Mill Creek, Snohomish, Lake Stevens and the rest of the 44th Legislative District, has introduced a bill in the Legislature to divide each Senate district into two House districts. It would mean that each state Senate member would represent about 137,400 people, and each House member would represent about 68,700. That would bring representatives closer to the people, Dunshee says, and make running for office simpler and less expensive. “If I knock on the same number of doors, I’ll reach a higher portion of my district,” Dunshee told me two weeks ago. In addition, he said, it would eliminate what he calls the “redundancy” of having a senator like Maralyn Chase, and two representatives, like Kagi and Ryu, serving the same constituency. Dunshee says that it can be done for this year’s redistricting. The bill had a hearing before a House committee Thursday. It would change the State law that requires each of Washington's 49 legislative districts have one senator and two representatives. The State constitution simply says that Washington will has 63-99 House members and a senate with one-third to one-half the number of House members. Dunshee noted that Oregon has used such a system for 40 years and said that most states have different districts for the state House and state Senate. We don’t know how the bill would affect the 32nd Legislative District because the district will have to get a little smaller in redistricting. Dunshee said that opposition might come from big-money interests and from people who are comfortable with the status quo.